“Europe is not a menu à la carte, it’s a political project,” the French president declared, speaking at the end of an EU mini-summit on migration in Salzburg Thursday evening. At a press conference following the meeting of European leaders, Macron acknowledged there was “a crisis and tensions” over the topic but, crying out, “Who generates them?” the former investment banker launched a broadside at nations which reject asylum seekers and those which “refuse to let boats dock on its ports”. “Countries that do not want more Frontex or solidarity [in housing and feeding third world migrants] will leave Schengen. Countries that don’t want more Europe will no longer [get access to] structural funds,” he told journalists. Turning the topic to EU Parliament elections, the banking protegé said next year’s vote would be “an historic fight [and] an election like no other”, as it would determine whether “the political project led by the founding fathers [of the union] … will prevail”. 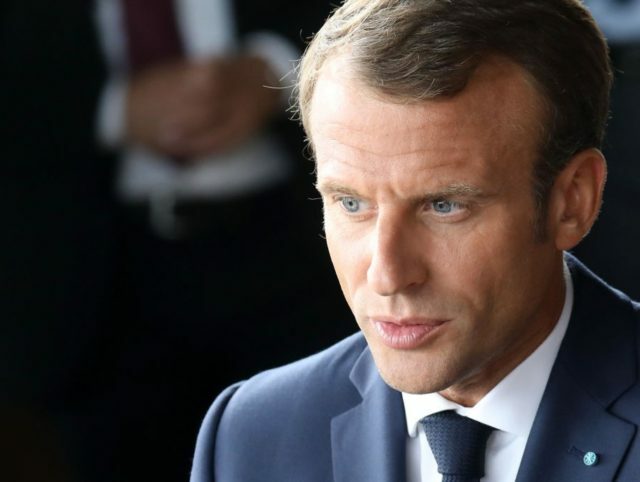 Macron has previously summarised next year’s vote as a battle between pro-sovereignty conservatives and a “progressive” bloc which would impose his vision of a globalist, socially liberal EU superstate, which revolves around “values” and secular “human rights”, on the entire continent. While most of the French leader’s ire at Salzburg was aimed at populists, his attack on countries “that do not want more Frontex” encompassed a much larger group at the summit, where Sebastian Kurz told reporters that southern states at the frontline of mass migration to Europe were “reluctant” over plans to massively increase the size and scope of the EU border agency. The Austrian leader explained that in countries including Greece, Spain and Italy, there is “concern” that handing more power over to Brussels would make it “harder to wave migrants through” to other, richer EU countries. In an interview on national radio last week, he said: “Because they were unable to persuade Hungary to let migrants in, the plan now is that they will take border protection rights away from us. Speaking at Salzburg, the populist leader told journalists that the expansion of Frontex was a “nice idea”, but said the agency had “never successfully protected a single metre of a border, while we have protected hundreds of kilometres”. “There’s no need for them to protect the Hungarian border in our place, not to mention the questions of principle concerning the issue of sovereignty,” he said, adding that he had presented at the summit his own proposal which would “resolve this problem” to Austria, which is currently chairing the EU presidency. Noting that the Hungarian proposal, which would see money marked for Frontex instead sent to help individual nations invest in protecting and strengthening their own external borders, had already been presented to Bulgaria, Orbán said “there are more of us who oppose” the EU plans than for, adding: “The status quo is on our side for now”.